John has been with Wrigley Claydon for over 25 years, becoming a partner in 1995, and heads the firm’s Commercial Department. Specialising in Employment Law and Business matters, John helps clients with matters including advice on policies and procedures in the workplace as well as disputes involving the Employment Tribunal. 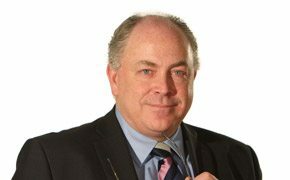 He also has considerable experience of dealing with landlord and tenant disputes and matters relating to business and company sales, commercial investment property transactions and lettings as well as residential estate and offshore property developments. John has worked in Oldham for the whole of his career and feels it important to give something back to the community. John is Chair of Governors at Oldham Sixth Form College as well as being a board member of the Pinnacle Learning Trust, a new Multi Academy Trust set up to serve and improve education in Oldham. John is married with 2 grown-up children and a golden retriever.